Skeeter the clown visited Cheyenne School on Thursday, September 21st. 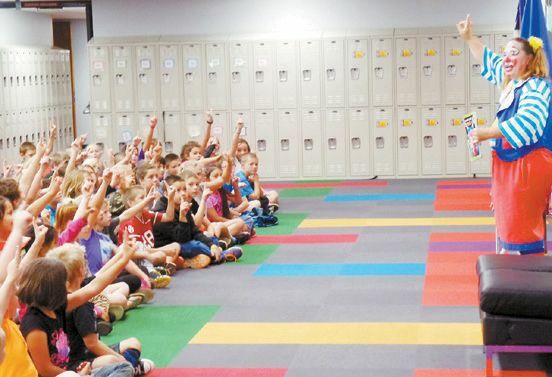 Skeeter entertained elementary students early Thursday morning. She told the boys and girls about the circus and introduced them to Macaroni, the only performing peacock feather in the country!